Jim Wilson is a big city cop at the end of his rope. We meet Jim and his two partners on night patrol. The Force has been under a lot of pressure since a cop killing of two weeks standing. Wilson, however, has been a walking exposed nerve for longer than the past two weeks. He is a lit fuse waiting to explode. Pete Santos: "Hey, what's the matter with Jim? I tell ya' he's sore or somethin'." Pop Daly: "He's sore alright. All we ever see is crooks, murderers, winos, stoolies, dames - all with an angle. You get so you think everybody is like that. Until you find out different it's kind of a lonely life. I've had to put pu with it, so did you. Jim just takes it harder than the rest of us." Pete: "He's getting harder to work with all the time." Mad With Much Heart is the evocative title of Gerald Butler's novel which is the basis of 1952s On Dangerous Ground. A.I. Bezzerides (Thieves' Highway) and director Nicholas Ray (Johnny Guitar) adapted the screenplay for the story of Jim Wilson's redemption. Jim's reputation as a tough man precedes him and proves true as he roughs up suspects and places tipsters in danger. He gets the job done, but pays a heavy psychological price and faces disciplinary action as well. Jim Wilson: "What kind of a job is this anyway? Garbage! That's all we handle, garbage. ... How do you do it? How do you live with yourself?" Pop Daly: "I don't. I live with other people. To get anything out of this life you gotta put something in it - from the heart." Captain Brawley played by Ed Begley (12 Angry Men, Odds Against Tomorrow) has tried talking to Wilson, but now tries a temporary measure to pull him back from the edge of the cliff. A girl has been murdered upstate and Jim is sent out of town to assist in the case. It is not much of a mystery as the suspect has been identified and there is manpower for the search. Whether Jim's help is actually needed by the rural authorities is one matter. On the other hand, for Jim Wilson may just find himself in this foreign environment. It is a long journey from the dark city streets to the open unknown. Tall pines replace skyscrapers and isolation replaces crowded humanity. Jim is suddenly and unexpectedly teamed with the father of the victim in the manhunt. Ward Bond plays Walter Brent, a man filled with grief and rage, and a need for vengeance. This simple family man embodies all the turmoil that Jim Wilson has been living with for years. From his earliest pictures such as The Big Trail through The Long Voyage Home to It's a Wonderful Life and TVs Wagon Train, in close to 300 bits and film roles, Ward Bond fit a variety of roles as if that were the one he was born to play. It was never going to happen, but if the Academy had ever deemed to recognize one of his performance, I think that of Walter Brent would be the one. The bereaved parent travels his own heartbreaking journey that mirrors and amplifies that of Detective Wilson. 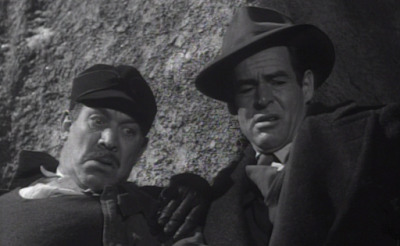 Robert Ryan's one Academy Award nomination was for playing an unrepentant killer in Crossfire. He played outstanding villains, but that craggy face could also portray a kindly soul as in The Boy with Green Hair. As Jim Wilson, Ryan gives us the depravity of a lost soul and his latent hope. The emotional journey of our character is also a very physical one as Wilson and Brent's chase includes running through snow and over difficult terrain. Hate motivates a lot of the chase, but hate is being pounded out of them. The chase leads them to the farmhouse of Mary Malden and her brother Danny. Danny, a young man "not quite right", is the murderer they seek and Mary must find a way to protect her brother by giving him up. 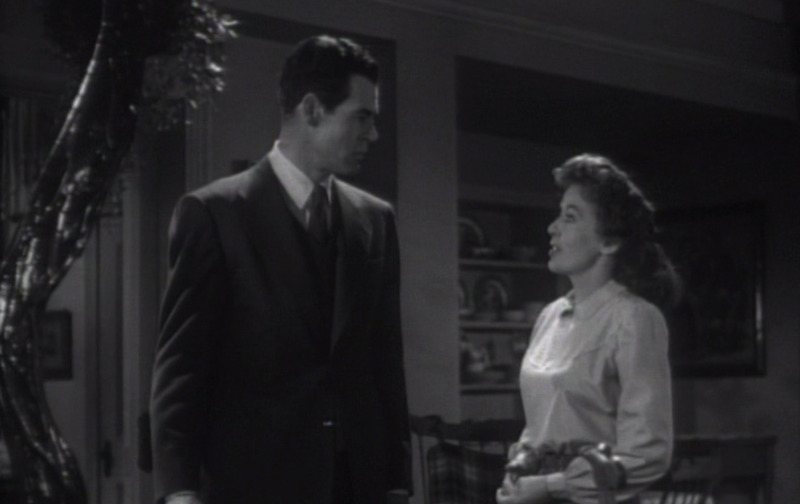 Mary is played by Ida Lupino (They Drive by Night), the director of four films by this time, took on directing duties during an illness experienced by Nicholas Ray during the shoot. 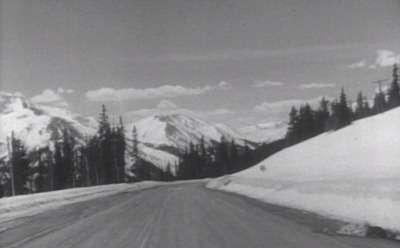 Bernard Herrmann's score for On Dangerous Ground uses the same insistent motif that characterizes his score for North by Northwest. I find it fascinating that it is equally effective for an adventure film and for the overwrought emotions of this tale. Mary's blindness complicates the search for Danny. Brent is confused and frustrated by Mary and by Jim's reaction to the woman. Mary has spent much time alone and time examining her own loneliness which she senses in Jim. For Jim Wilson the dam which has been holding back his emotions is beginning to shatter. Mary Malden: "Tell me, how is it to be a cop?" Jim Wilson: "You get so you don't trust anybody." Mary: "You're lucky. You don't have to trust anyone. I have to trust everybody." One Dangerous Ground epitomizes the tough film-noir in the gritty telling of the first part of the story. What had been our focus sets up the change in setting and mood as the story wears its emotional heart on its sleeve in the second act. At the very least I think you will find On Dangerous Ground an interesting film, at the most you may find it enriching. 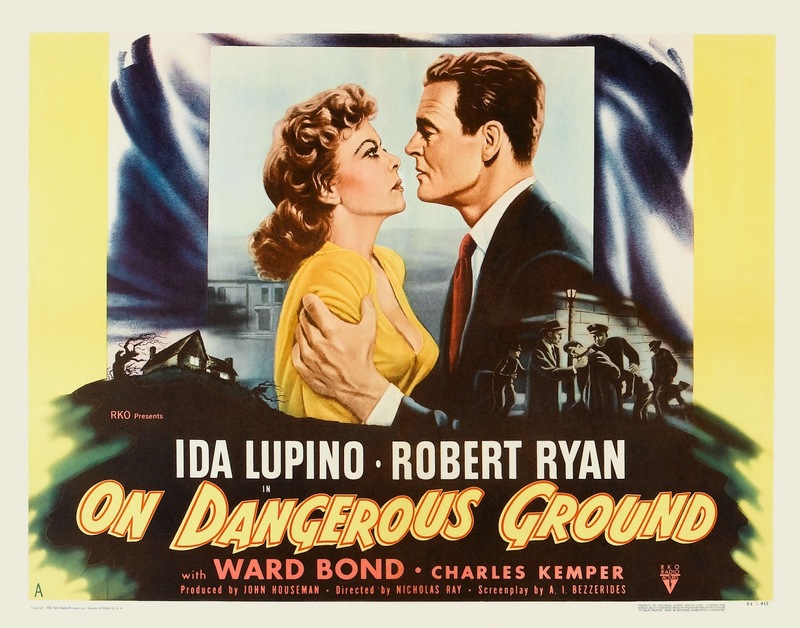 TCM is screening On Dangerous Ground on Thursday, April 7th at 11:15 am on a day exploring the creative phenomenon, Miss Ida Lupino. 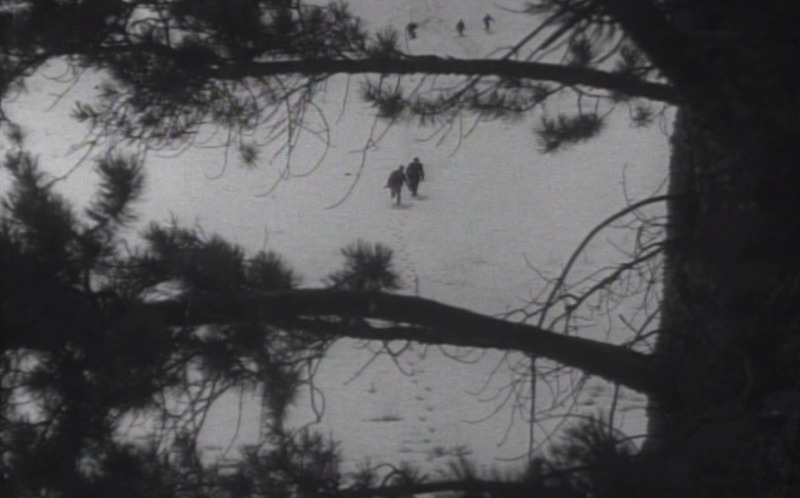 What's the name of that Lupino movie where she's in the woods with some bad guy and they're being hunted or something? 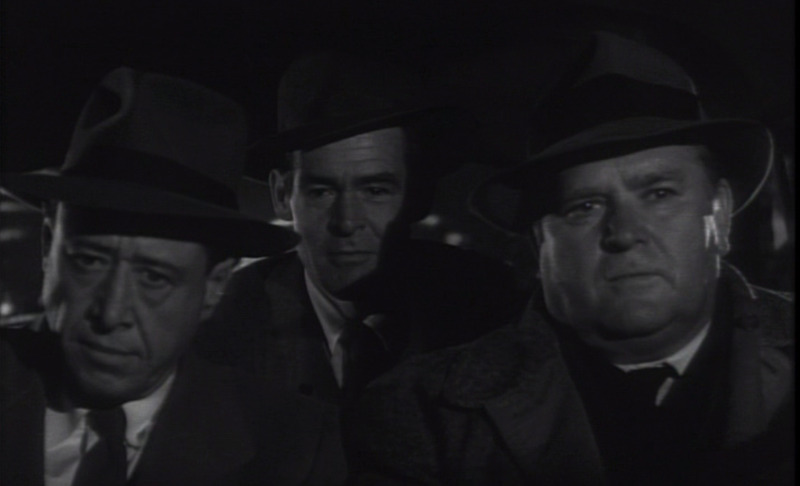 It's not this movie (wasn't set in the winter and Lupino wasn't blind), but it sounds a little bit like this one I'm thinking of. It's not HIGH SIERRA. I know that much. I think you are remembering "Woman in Hiding" from 1950. She's on the run from a psycho husband. I remember a cabin in the woods and cops dragging a lake for a car. Gotta see that again. Deep Valley stars Ida and Dane Clark on the run. Lovely film. Great review of On Dangerous Ground. I hadn't considered "Deep Valley" in Rich's quest. You may have nailed it. I think this might be the one! I checked its listing on IMDB and it sounded very close. Nothing to add other than I like this movie. Forget where and when I saw it but I remember thinking it was a pleasant surprise. I counted on somebody knowing the right movie. Trust in humanity rewarded. Good one. You can't go wrong with Ida. So true. If I did needlepoint I'd put that on a sampler. Early in the morning (8:00) they are showing another Ida Lupino + Robert Ryan movie, "Beware, My Lovely" made the same year as "On Dangerous Ground". Another fine review! I can't think of any actors better equipped to play some with a "lit fuse" that Robert Ryan. Plus, some of that dialogue crackles, too. Among my family there are movies that "apparently" I forced people to watch and this is one of them. They thanked me for it. I don't know why they fight me.